There is a lot of noise in the environment around us and the instances of noise pollution are increasing day by day. Noise control is an important aspect in making a place comfortable to live and increase the productivity. Vibration isolators are very important for the smooth functioning of the machines. They improve the longevity and productivity of the heavy machinery by reducing the wear and tear by regular use. Many industries such as automotive industry, commercial and industrial manufacturing, architectural and construction industries, building and construction industry require noise control and vibration isolators. They are used for cushioning, deflecting and absorbing the force emitted by machinery vibrations. This also helps to control the noise that these vibrating machines emit. 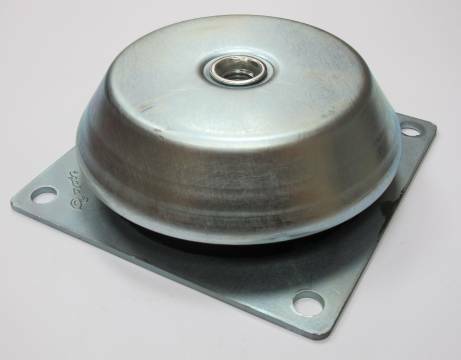 Isolation technology manufactures a number of vibration isolators like vibration isolation mounts and pads which helps the user to operate the machines smoothly and quietly, without emitting much vibration and noise. While it is easy to control noise from heavy machinery by fitting the vibration isolators and vibration mounts, it is difficult to control the noise from the environmental sources and the noise pollution all around. While we cannot stop this noise at source we can prevent it from entering into a specified area with the help of sound proofing products like wall panels, , baffles, awnings, and noise control curtains. These equipment can be used to reduce the noise or prevent the noise altogether in a specific area inside a large area like they can be used for individual apartments in a large residential complex or a cubical in a noisy work place. These sound proofing equipments can also be used in larger environments like recording studios, theatres and venues for musical concerts. Isolation Technology produces the most effective vibration isolators, noise control and sound proofing equipments and sells them at the most competitive prices. They have a wide range of products in sound proofing panels, foam, curtains, awnings and other materials. They also produce vibration control equipments for industries like the cylindrical vibration isolators, vibration control mounts, pads, springs, and rails. The noise and vibration control specialists of this company also work with architects and designers to develop sound proofing and vibration control equipments that suit the client requirements. Noise pollution has become a great problem in the times we live in. While some of the noise can be controlled at source, there are many other types of noises which cannot be controlled. Sound proofing equipments come handy in these situations. We can block the noise from entering into a specific area by using these products. Industries which use heavy machinery also have the problem of vibration and noise from these machines. Vibration controls are the best tools that absorb the force of vibration and reduce the noise from these machines. By using vibration controls and sound proofing, we can make an area productive and livable.